ACHTUNG BABY is 27 .......... Happy B-Day BABY !!!!!!!!! When I think back to past memories, Achtung Baby is the album I use to measure time. I can always gauge the year and it's AB that is the measuring point forward or back. It changed my life and how I viewed music and concerts. I still think it's the only best album since Sgt. Pepper's. I will never forget putting in the CD, hearing the opening of Zoo Station and wondering, 'What is this?'. It is a favorite musical moment. 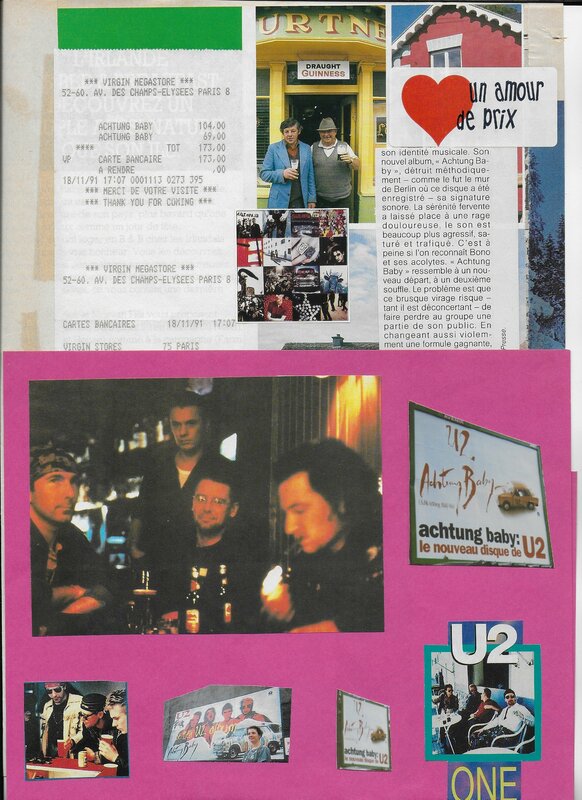 The album that drawn me to U2, One is the catapult when i first heard it on my high school friend's brother stereo playing across the room, knocked at the door and he let me in and kind of occupied is room as I wasn't leaving until the album finished. So Cruel and Ultraviolet is my favourite of the album, also Mysterious Way-the video was blown my mind, all the colours and Bono movement was out of this world, kind of psychedelic. oooooh never seen this one before thx! This album was and is simply groundbreaking. We all know how ridiculously outrageous it was for U2 to go in this direction musically after their success in the 80s. But they did it and it not only worked, it was something literally NO ONE on planet Earth could've expected. Thje smartest thing the big dummy could have done was answer the phone. I'm glad he did not because this is still very, very funny. 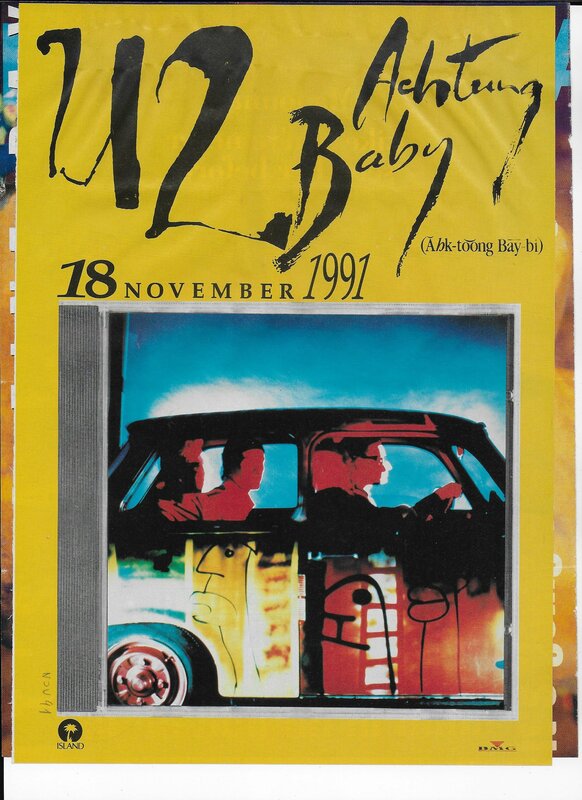 Just think.... Achtung baby is now old enough for Rod Stewart to consider marrying it!